Hello, and welcome to another fabulous season of Theme Park Apprentice (Henceforth, TPA). As you know, this round will decide the contestants for the rest of the competition. Only 10 contestants will continue on to round 1, so this round is vital to your survival. If there are less than 10 submissions, all players will continue to a shortened version of the game, unless the judges decide there are not enough people. Your mission, should you choose to accept it, is to give a general overview of your park. It should include your park's theme, which should be creative and original, as well as a breakdown into the themed areas of your park. Things can be tweaked later, but changing your park from a park based on horror movies to a park about princess fairies is clearly too much. Please make sure you have read the rules before submitting. It would also be good for you to know that I have changed the schedule around a bit. All auditions will now be due FRIDAY night. This means it will be due 12:00 AM site time Feb. 6-7. The next round will be posted Feb. 8 giving us one full day to decide who will live and who will die. The scheduling of other rounds will remain as is with one every week. The challenges for the first half of the game will be posted on a separate thread. Good Luck and Happy Designing! Now, as for the challenges for the rest of the game. I am giving the first half to you now so time restrictions won't be as worrisome. DO NOT post a proposal until we have posted it's round. If you do it WILL NOT be considered. and in the audition is it any topic that you choose? The audition is an overview of your park. It can be any theme, but all your attractions will have to fit into it from here on. The final round will be a more detailed overview of the same park. I'm working on an idea and will post later this week. It looks like fun! I got mine done, so I guess someone has to go first. I hope the judges like it. On the banks of Lake Missitucky, located somewhere in the MidSouthWest of America, stands our nation's newest and most beautiful theme park, "Americana: 1900" a place where the elegance of our nation's historic past meets the entertainment demands and capabilities of today and tomorrow. This is a highly-themed amusement park that fuses modern technology with the charm, sophistication and fun of what is romantically remembered as our nation's most elegant era. Six themed "Townships" transport guests back to that bygone era when automobiles were the latest thing, when most of America was rural and most Americans lived on farms, and when the Industrial Revolution was just starting to make our great-grandparents' lives a little bit easier. "Americana: 1900" is not a dry, boring history lesson, but a place of fun, excitement and visual beauty, and is designed for families to explore and experience together. The basic theme is from the era of 1890-1910, but remember that structures from before that time still existed, and if a little bit of the future should intrude, well, most guests are very forgiving. Safety will never be sacrificed for period or political correctness. "Maple Grove", the entrance to the park, where the simple, rustic homes and shops of a small farming community provide guest services, shopping and dining opportunities, and transportation to the rest of the park. "The Boardwalk", a recreation of the boardwalks that ran along the beaches of many lakes and oceans (and still do in some places) and which themselves were lined with many varieties of shops, theaters, amusement rides and other entertainments. "Green Springs", the water park area, themed to the popular hot springs resorts that many people of that era visited to enjoy the "health benefits of taking the waters". This is an area to both relax and be thrilled by the water slides, wave pools and lazy rivers that our great-grandparents would not have recognized but would undoubtedly have quickly learned to enjoy. "County Fair". The name says it all. Amusement rides, carnival attractions and cotton candy are just a few of the features to be found in this quintessential part of American life. "Courthouse Square" recreates the heart of a small-town county seat, where the Courthouse was the largest and most elegant building in town. The Americana County Courthouse acts as both an attraction in itself and as the iconic structure for the entire park. It is surrounded by the shops of a small-yet-prosperous town of the era. "Morrison Farm", a working farm with animals to be petted, crops growing in fields, and rides themed to be appropriate to the rural feeling of this relaxing yet fun place. Each Township in "Americana: 1900" is a self-sufficient park, with all guest services needed in a modern park (lockers, shops, food services, first aid, etc.). Each has attractions, rides, and entertainment of some kind. Even so, each is an integral part of the entire theme park experience. "Americana: 1900" is the ideal family theme park. It has attractions for the entire family; it is a visually beautiful park, with historically designed structures and magnificent landscaping; it has remarkable thrill rides, heavily themed to the period of the park yet utilizing the most modern technology. Entertainment, dinning, shipping and areas for relaxing are all to be found throughout the park. "Americana:1900" is a new destination park for Americans to come to and discover their history, and for guests from around the world to come and discover America. This park will be Hong Kong Disneyland’s sister park and will be themed around the concept of time travel/history. What will make this park unlike any other theme park is that the whole park will have an overall story that will connect with the transitions between lands. The park’s overall story is that Henry Mystic IV (Lord Henry Mystic’s great-grandson) is working to carry on his great-grandfather’s legacy as a current member of the Society of Explorers and Adventurers. He has setup a laboratory located next door to Hong Kong Disneyland to invite guests on journeys back in time to different eras of history. His laboratory will serve as the park’s “Main Street” area to set guests up with the story as well as the usual dining/souvenir areas. In order to cross the space-time continuum, Henry has set up time portals (special effects tunnels) in various eras of history to transport guests into a particular era. If they wish to get to a desired era at a much quicker pace, they can board his “Time Train” (Hogwarts Express-style experience) for a journey through space and time. From a design perspective, the laboratory entrance (as well as one other themed area) is enclosed, while the other themed areas are designed so that guests cannot see or hear the other themed areas (not even from the outside gates). Ancient Greece-This area will be mostly focused on the mythological side of ancient Greek culture while still being tied to the historical aspects. One big E-ticket planned is a Pirates/Sindbad type indoor boat ride themed to Homer’s The Odyssey. Ancient China-Considering this park is going to be located next door to Hong Kong Disneyland, it makes sense to recognize the Chinese’s contributions to society. Like the Greek section, this park may emphasize the mythological aspects of culture while still relating it to history. I haven’t decided on any attractions yet. Renaissance Italy-This area celebrates the accomplishments of the greatest thinkers of the Renaissance (Da Vinci, Michelangelo, Galileo, etc.) displaying their new discoveries to the public. One attraction I’ve planned is a Soarin’ type experience in which Da Vinci is experimenting with his new flying machine design and takes guests on a madcap tour of Italy. Victorian England-Like the Renaissance section, this will focus on the era’s contributions to society through science, literature, politics, etc. This area will have a romanticized Dickensian feel to it rather than the actual, disgusting era it was. I also have not decided on any attractions yet. Hello all! These two proposals are fantastic! I just want to remind everyone to work on their proposals, because the due date is one week from tomorrow. If all the proposals are this good, its going to be tough to pick who goes through! Good Luck! Many famous Disney characters decided to move in into a place were they can live in peace. But they want you to visit them; they want you to go to their houses and to play with them so come to Disney City were you can meet your favorite characters and make your wishes come true here in Disney City. It will be in a circle form. Lands based on Disney character and in the middle of the park an end of day show were all characters from the lands meet. It will have to be one of the biggest theme parks Disney created yet. Combination of Disney princesses. This will include all princesses and at least one ride for each (except Frozen that will have its own land) there will be 4 castles: Aurora, Cinderella, Ariel and Belle. This will be the biggest land. Lilo and Stitch themed. Will have a Hawaiian look and many meet and greets including Lilo, Stitch, Angel (Stitch’s girlfriend) and more experiments. The land of Toy Story. Toy Story 1, 2 and 3 were one of the most seen animated movies of all times. They needed to be included in this list. This recent Disney movie is the most seen Animated movie. It will be composed of 2 castles: Elsa’s ice castle and the king and queen castle. Based in the, The Seas land in Epcot future world (but bigger) on of Disney’s most known classics and Finding Dory movie being filmed there needs to be a land of them. This gets 3 Disney movies sequels together: Turbo, Airplanes and Cars. It is a land with elements of Cars Land in California Adventure. Of course The Lion King. Most famous Disney movie before frozen and later turned into a Award winning musical in Broadway. Based in Monsters Inc. and Monsters University a classic that after many years they made a second movie. Everyone knows Toontown. Based in Mickeys Toontown of all Disney parks and the old Mickeys Toontown in Magic Kingdom. It will be one of the major lands. Since Disney bought star wars one of the most famous sci-fi movies ever it couldn’t be left behind. Based in Hollywood Studios: Star Wars land. Pirates of the Caribbean also have to have a land. One of the movies that Disney did with most sequels. It has many famous rides and it is also a classic. Getting 2 famous Disney movies: The Aristocats and 101 Dalmatians. Based in Avatar Land in Animal Kingdom. Marvel themed land. Disney bought marvel and can do this. Also one of the biggest lands. Half will be of Super Heroes the other half of Super Villains. So by finalizing everything. Disney City will have elements of many theme parks and will make something that the closest is California Adventure. Come here to Disney City and make your wishes come true. The entrance of the park will begin in the city of Athens with various Greek shops and restaurants to explore. The icon of the park just outside of Athens and at the top of the world is Mount Olympus, home of the gods. A live show featuring the story of Hercules will be one of the main attractions. At the base of the mountain separating Athens and Olympus is the Garden of Flora and Fuana, home to centaurs, cupids, and fauns. To the left of Ancient Greece is the kingdom of Anna and Elsa. The Arendelle castle will sit guarding the fjord by Arendelle's harbor. Just beyond the kingdom in the North Mountains sits the Ice Palace where the Snow Queen resides. The land will also feature the characters of Olaf, Kristoff, and the trolls. Behind Mount Olympus is J.R.R. Tolkien's land of the Hobbit and The Lord of the Rings series of books and movies. Hobbiton will greet guests with rides and play areas for children and feature the 111th Birthday Celebration of Bilbo Baggins. The Lonely Mountain will feature the battle to reclaim the Dwarves mountain kingdom and the riches within against Smuag the dragon. 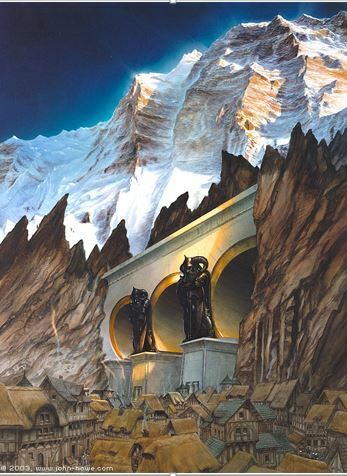 Adjacent to the entrance of the Lonely Mountain will be the refuge of Lake Town and just beyond will be the beauty and enchantment of Rivendell, home of the elves. The adventures of Frodo Baggins and the Fellowship of the Ring will be the featured attraction in Rivendell section of Middle Earth. To the right of Ancient Greece will be a dark land where the stories of Rapunzel and her Tangled Tale as well as Hansel and Gretel, the Frog King, Little Red Riding Hood, Tom Thumb, Rumpelstiltskin, and the Brave Little Taylor (Mickey Mouse!) will be explored. Rapunzel's Tower and the Snuggly Duckling will be represented in the forest. In the middle of Lost Kingdom's lake just beyond Middle Earth is Atlantis, a bustling port that celebrates the riches and wonder of the sea. Many shops and restaurants will inhabit the beautifully preserved garden city that unknowingly will eventually meet its doom at the hands of Poseidon, god of the oceans. A long time ago in a galaxy far, far away...will be the land of Star Wars! Tatoonie will be at the center of the land and feature the Mos Eisley Catina (finally! 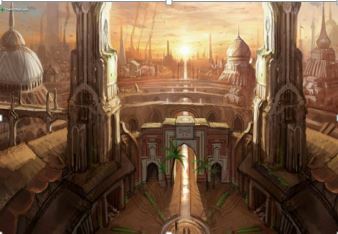 ), Jabba the Hutt's Palace, and an attraction based off of the pod race sequence from Episode I. The moon of Endor will be represented with an Ewok village play area and feature an attraction about the Battle of Endor. Hoth, Naboo, and a couple of unnamed planets from the third trilogy will also be represented as worlds of Star Wars. At the end of the day a unique nighttime celebration featuring all the lands of Lost Kingdom will set a new standard in the theme park industry. More to come soon! This 3rd gate at the Disneyland Resorts sets its eyes on the skies where space exploration & imagination take flight. Highlighting many of the Disney properties that take place "above ground", this technically advanced park aims to compliment the "Land" & "Sea" parks by adding "Air" as a part of Disney Parks & Travel. The park will be comprised of several lands, presenting various elements of our airspace & the galaxy beyond. The official park logo is the standard Mickey head shape, with various planets subbing for the ears & head. The land names / attractions are subject to change as the park is developed more. We haven't quite left Earth yet, but we're on our way! This land explores the blue skies above with flight based attractions based on Earth. Attractions & entertainment will be based on a variety of properties, including UP, Planes, Dumbo & Mickey's first appearance, "Plane Crazy. There will also be a new version of the "Soarin' Over" franchise presented here. Guest will be "Buzzing" in this land built around the space setting of the popular Toy Story character. Enter Gamma Quadrant of Sector 4 (and 5!). Zurg, Pizza Planet, the little green men (the toy squeeze aliens) and more will populate this land & attractions. And don't worry, Buzz will be joined by his fellow Toy Story comrades in this land in original attractions. This land is themed around the little known property know as Star Wars. The Star Wars universe is expansive, so this land isn't based on a single location. The land encompasses a larger area than some of the others. Here guest will find attractions based on Walle, Stitch, & the fab 5. New characters created specifically for this park (ex. Duffy) will also be introduced here. This land highlights the discoveries of the past. It contains attractions based on the first moon landing, the space race & more. Because this land celebrates the past, guest will also find all of their favorite "space themed attractions" of the past. These will include Captain EO, Mission to Mars, Alien Encounter, & the original red & white rocket jets. This land will be composed of entirely original attraction concepts not based on Disney IP's. There will be no movie / tv / book / character based attractions here. This land will also contain the latest "mission" of Space Mountain. Kieth Schneider: Fantastic proposal. But Middle Earth is not Disnet IP. Because you chose to do a Disney park, all of you IP must be Disney. Thought it would be good to tell you now, rather than wait. This is a good place for me to remind everyone about those rules. If you arean independent theme park, you can use any IP not already utilized in a park. (Jungle Book? Yes. Peter Pan? No.) If you are a DISNEY park, you can only use DISNEY IP, even if it is already used in a Disney park. Same goes for other companies with their own IP. Alright, I’m in! Not sure if a theme like this has been used before in prior TPA competitions… but here goes. Designed to look like an otherwise normal city street, but digitized using the graphical power of the NES era; the idea being that players are gradually leaving the real world for the video game world. Attractions include ample retail space for themed shopping, the 8 Bit Café table service restaurant, a spacious two-story arcade area, and a side street shooting gallery themed to Hogan’s Alley. This themed land acts as your entry point and is thus rife with photo opportunities not just with the delightfully blocky scenery. The area would also include roving characters from across Nintendo’s storied past and, of course, Princess Peach’s Castle towering over the far end of the park. 8 Bit Avenue leads to a hub area where players can enter the other themed lands through giant NES cartridges with archways cut through. Walking straight on from 8 Bit Avenue, players enter the brightly colorful Mushroom Kingdom- Mario and Luigi’s adopted homeland. The centerpiece of this land would clearly be Princess Peach’s Castle (visible from park entry). Peach’s Castle would be home to a princess meet and greet that includes Peach, Daisy, Zelda and likely other ‘visiting’ Nintendo heroines such as Samus (sans Varia suit), Pauline, Candy Kong, Paula (Earthbound), etc. Walkways would be paved to resemble the ‘Mario brick’ pattern familiar to gamers- alongside walkways would be ‘?’ blocks and several Goombas and Koopa Troopas. Themed retail space and a counter service restaurant, serving Italian food of course, would be housed in quaintly decorated Toad houses. Other attractions include Toad’s Mushroom Kingdom Tours (a dark ride), Mario Kart Grand Prix (digitally enhanced go-kart ride), and the Yoshi Ranch (kid’s play area). The idyllic kingdom of Hyrule, of Legend of Zelda fame, would be themed around a recreation of Castle Town and would include a small, forced perspective Hyrule Castle in the distance (think Beast’s castle from New Fantasyland only properly detailed and not an afterthought- zing!). Retail space would fill in the majority of Castle Town, but the land would also include a LonLon Milk stand in an effort to take part in the recent themed drink craze. The beverage would come in collectible plastic bottles and would be like a frothy vanilla milkshake. Cast members (totally stealing this term from Disney/Universal- sorry not sorry) would be instructed to shudder at the mention of the evil Ganondorf. Other attractions include Link’s Crossbow Training (a shooting gallery dark ride), The Great Deku Tree (walkthrough), and The Legend of Zelda- A Hero Rises (dark ride/sim hybrid). A jungle land with intricate caves to explore and an impressive waterfall as the centerpiece- littered with simulated banana peels and barrels emblazoned with the DK logo ideal for photo opportunities. This land wouldn’t include a ton of retail or restaurant space, instead being dominated by the walkthrough cave system that, when properly navigated, leads to Crystal Caves- themed to the DKC level of the same name. Not a ride, just a visually dazzling cave of sparkling, brilliant crystals that is thrilling to discover. The only retail space would also be the exit to the land’s major ride attraction and would be themed to Donkey Kong’s banana horde, complete with a giant banana with a huge Nintendo sticker. Other attractions include Donkey Kong’s Mine Kart Mayhem (themed, indoor roller coaster) and Diddy Kong’s Monkey Magic Show (an animatronic/live actor hybrid show). Welcome to the hostile, otherworldly land which played host to the very first Metroid adventures- Planet Zebes. This land would feature detailed rock work with alien life familiar to bounty hunter Samus Aran perched upon clifftops and hanging from the rock walls. Walking through this canyon, players will come to a rock archway, beneath which rival bounty hunters and space pirates appear to be having a shootout. Realistic laser effects will be seen zipping past overhead, the machinations of which are cleverly hidden by the rockwork archway. Continuing on, the canyon opens up to a plaza area that includes the Hunter’s Bounty- a space themed table service restaurant and bar, plus Galactic Federation Supply- a retail space. Other attractions include Samus Aran’s Gunship (walkthrough) and Metroid Processing (a thrilling roller coaster featuring multiple inversions). Home to the iconic pink puffball Kirby, Popstar is a cheerful and colorful themed land especially welcoming to younger players- just like the Kirby game series! The centerpiece of this land is the sizable Fountain of Dreams topped by the powerful Star Rod; instantly recognizable to fans of Kirby’s adventures. Two star shaped counter service restaurants, one featuring quick-serve meal staples like burgers and pizzas and one exclusively for sweets/desserts, would be joined in the middle by a large-scale Kirby statue. The statue would appear to be continually inhaling food from both stands through theme park magic which, in reality, are simple vacuum tubes. Waddle Dee Widdle Rides would be a small area for ‘kiddy’ rides like a carousel, ferris wheel, etc. Other attractions include Meta Knight’s Flight (sim ride) and King Dedede’s Royal Court (stage show). Wanted to include Green Hill Zone from Sonic the Hedgehog, but he’s Sega property. Sega and Nintendo have been playing nice for years, with Mario and Sonic now frequently appearing together, but rules are rules. I’m hopeful I’m selected so I might flesh these ideas out- I feel I’ve left room for some real depth of choice to tackle future design challenges. In summary, pick me! Behind Mount Olympus on the banks of Lost Kingdom's lake is Medieval Court where the myths and legends of Medieval times will be represented. King Arthur and his Knights of the Round Table will reside in the castle at Camelot. The Sword in the Stone with Merlin the Magician and Robin Hood will be featured in the land, as well as dwarves, elves, unicorns, and a fire-breathing dragon. There will also be a reference to the Black Cauldron as well. In the middle of Lost Kingdom's lake just beyond Medieval Court is Atlantis, a bustling port that celebrates the riches and wonder of the sea. Many shops and restaurants will inhabit the beautifully preserved garden city that unknowingly will eventually meet its doom at the hands of Poseidon, god of the oceans. Quick question about Keith's park: Will the Atlantis land have anything to do with the failed 2001 Disney movie or be based on an original take on the Atlantis myth. Original take. 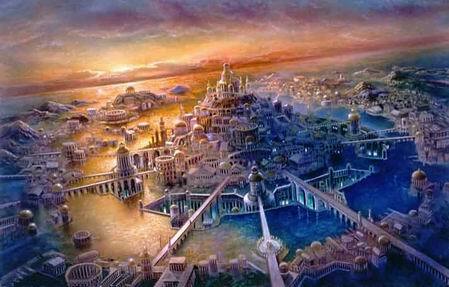 It will be what Atlantis was, a bustling sea port, before being overtaken by the sea. The main attraction, however, will be about the phenomenon of Atlantis sinking to the bottom of the ocean at the hands of Poseidon. Different “lands” will be different time periods and places visited on the show. Gallifrey- The Doctor’s home planet. This land will act as the entrance to the park. It will be filled with shops and restaurants, all leading up to gallifrey's capital and symbol for the park. The Arcadia Dome will be visible from all lands, as a reminder that the doctor can go anywhere...except home. New Earth-where the humans went after the sun expanded and earth drifted away. The guests will be able to see the New Earth hospital, and the undercity. Also, this land will be the home to the 2 Streams Facility One possible attraction will be an undercity freeway roller coaster. The Moon-This land is exactly what would happen if a Six Flags were built on the moon. In the show, an amusement park is mentioned, but the Doctor lands after the park is shut down. This land is the park in it’s full glory. Filled with extreme thrill rides, this is the perfect land for teens and adults alike. One possible attraction is the (briefly mentioned)Spacey Zoomer ride. 2015 London- When the Doctor visits this many times it needs to be in the park. Guests can visit U.N.I.T.’s black archive, the tower of london,Torchwood tower, all of the companion’s homes, and the UNIT headquarters.One possible attraction is a Dalek/Cyberman war dark ride/shooting ride(Buzz Lightyear’s Astro Blasters) titled Doomsday. London o’ yore-It seems as though when the doctor isn’t in 2015 london, he’s here instead. Guests can visit the torchwood house, and see a show in the Globe Theatre. One possible attraction is Doctor Who: the Musical. Old New York-Based on the 20’s-30’s Big Apple, visitors can find the construction site for the Empire State Building, and visit Winter Quay, and rampage the sewers. One possible attraction is a Weeping Angel EMV (enhanced motion vehicle,same vehicle as Dinosaur/Indiana jones) ride. supergeeks alike. Hope to see you there! Is there still time to enter or am I to late? I think you still have time- you have to post by midnight this Friday night/Saturday morning site time (Pacific Time). You have until midnight Friday. Thank you so much. Now time to dream an idea up! Disney’s Realms of Imagination focuses on the traditions of epic struggle and sacrifice. Featuring heroes and villains from the past, present, and future, the park’s theme focuses on the concept of realms of imagination in conflict. Inside, guests will be able to participate in a never-ending struggle of good vs. evil as heroes from the world of imagination do battle for the heart of the Realms of Imagination. Furthermore, Disney’s Realms of Imagination is dedicated to providing guests an opportunity to interact and discover some of Disney’s more unique and eclectic properties such as Narnia, Marvel, and Kingdom Hearts. This emphasis on action and adventure offers guests new and unique experiences which adventure-seekers and Disney fans everywhere have been craving to see in the parks. Join the Struggle! The Park is yours! Disney’s Realms of Imagination will be the first park in the world to employ a park-wide multimedia interactive system where guests “heroic spirit” participate in a park-wide struggle for control over the park. Almost all of the rides and attractions will feature an advanced tracking and scoring system which keeps a total tally of victories, defeats, accomplishments, and general character progress. Furthermore, guests can earn items and other rewards to unlock in Disney Infinity. This feature is completely optional and guests who do not wish to participate can still experience all the park has to offer without the need to participate if they choose not to. Guests who wish to participate in the system will be issued a unique, wearer-specific RFID chip. This chip is contained in a small, circular disc (approximately the size of a half-dollar coin). The chip can be used and stored in a variety of different devices and props, including everything from the mundane (wristbands, lanyards, keychains, plastic cards, etc.) to the fantastic (swords, axes, guns, shields, wands etc.). Each RFID chip is linked to an online, web-based profile. This profile can be fully customized by the user either via the Disney Infinity smartphone app or the free Disney Infinity computer app. Each profile has access to a free avatar management function which will allow guests to modify the appearance of their heroic spirit as well as establish their own “Realm of Imagination”—a customizable home which can be accessed via the Disney Infinity community toy box. Guests can use their heroic spirit in Disney Infinity as well as in a free-to-play kid-friendly MMORPG based upon the Kingdom Hearts property of video games. As guests go through the park the RFID chip interacts with various elements throughout the park, often syncing a user’s heroic spirit with a “spirit stone” (This is simply an artistic base where guests can scan their chip. Visual aesthetics can range from looking like an ancient cairn to a futuristic data-port). For example, on certain attractions the RFID chip will load the wearer’s avatar onto an on-board screen and insert the avatar into certain ride scenes. Some attractions may simply require the guest to scan their RFID chip at various points throughout the park such as ride queues, ride exits, restaurants, or park landmarks. The scanning system will also allow wearers to achieve different achievements and will unlock customizable items and trinkets to be used with the avatar management system. The system will even allow guests to unlock weapons and abilities to be used in the aforementioned games. Disney’s Realms of Imagination is located at the Disneyland resort, in Anaheim California. Located on land freed up by the current Toy Story parking lot, as well as land bought out from the surrounding area (Gardenwalk, some of the surrounding motels/hotels, surrounding apartment complexes, etc. ), Disney’s Realms of Imagination is a massive 130-acre park, the second largest park in Southern California (after Six Flags Magic Mountain). Below is a picture roughly detailing the general layout of the park. Brave: Return of Mordu: Guests are invited to join Merida and the Scottish tribes as they fight off the dread were-bear Mordu, recently returned and seeking vengeance! This is a trackless ride system that incorporates large animatronics and set pieces. Battle for the Black Pearl: A D-ticket dueling flume ride that pits two bands of pirates in a struggle for control of the Black Pearl. Guests can choose to join Jack Sparrow and his crew or team up with Davey Jones and his eerie band of ghost pirates in the fight for control of the Black Pearl. A Journey Through Earthsea: Join the Archmage Ged as he seeks to restore balance to Earthsea after rouge wizards conjure up Shadows and control dragons to do their dark bidding. This is a next gen E-ticket attraction which combines traditional POTC-style boats modified with a new submerged version of test track technology which allows unprecedented speed and agility never before seen in water ride technology. Atlantis Besieged: The beautiful underwater empire of Atlantis is under attack from the world above as nefarious spelunkers and treasure seekers seek to plunder the sacred treasures of Atlantis. A C-ticket traditional dark ride with enhanced ride simulation similar to Tokyo DisneySea’s 20,000 Leagues Under the Sea. Conflict Castle: Fight for Hollow Bastion: A fully interactive next-gen ride which features multiple storylines, interactivity, and two different tracks! The ride utilizes modified and updated trackless system technology, in conjunction with 4-D gaming elements in vein of Toy Story: Midway Mania. Conflict Castle puts “teams” together in a chariot as they fight for their respective side to gain control over Hollow Bastion. Guests can choose to fight with Mickey, Donald, and Goofy to fight back the Heartless or join Roxas in his quest to find the link to his missing heart. Reepicheeps Quest: Join the noblest knight in all of Narnia, Reepicheep the mouse, as he journey’s to Ettinsmoor, the land of Giants, to reclaim an ancient treasure lost to Narnia since the days of Jadis, the White Witch. Through the magic of Aslan, guests are made an honorary mouse-knight of the Order of the Lion. This is a hybrid motion simulation/dark ride in vein of Forbidden Journey with a different twist. Featuring a large number of animatronics and dark ride elements which blend in with the projection scenes seamlessly. The interactive element in this ride incorporates the use of simple hand gestures and body movements which are read and interpreted through a body imaging system similar to the technology seen in XBOX Kinect. Escape from Bald Mountain: From the imposing peaks of Bald Mountain, the demon Chernabog hungers for the souls of the innocent, and YOU are one of the souls he seeks to devour! Guests board a spirit steed in this high-speed, intensely themed roller-coaster experience in which guests will come face-to-face with the demon as he tries to consume their souls. Will they escape his clutches in time? Dis-enchanted: Guests are invited to fly along with the oppressed fairies of the Moors in this exciting yet gentle flying adventure. Join fey creatures of all sorts as they seek to break the dark enchantment which Maleficient has left on the land! Guardians of New Carthage: Join Star Lord, Rocket, Kroot, Drax, and Gamora as they protect New Carthage from ruthless smugglers. This is a multi-layered attraction featuring a 4-D pre-show which leads to a large KUKA dark ride. The ride relies heavily on projections screens, and large set pieces. Game Central Station: A sub-land based on Disney’s Wreck-it Ralph, guests can enter a fully indoors area made to resemble Game Central Station from the film, Wreck-it Ralph. This sub-land features a plethora of family friendly rides and a fantastic environment. Guests are welcome to explore a variety of family friendly rides, including two great dark rides. That gives a brief overview of the park itself. I hope everyone enjoyed it and good luck to everyone who entered! I just finished writing comments for all 8 audition proposals that have been posted thus far. To be fair, I will wait until Saturday to post them, but for now I will say that I've enjoyed reading and reviewing each one, and in my opinion there isn't a bad one yet. For anyone who is interested in competing, there is still time to submit a proposal. The deadline is Friday at midnight pacific time and no exceptions will be granted. Although a maximum of ten competitors may proceed to the actual competition, there is no limit to the number of auditions. Even if you are not chosen, you'll still receive some feedback to help improve your proposal for the next edition of the game, so there is really no way you can lose. If you're at all interested in playing, get an audition in by Friday. I am currently writing my reviews! All the parks are fantastic! It's clear you all spent some serious time on them. I'm so happy to help make this a great experience for all of us. My post is on the way. Just having some extra thoughts now but will get it in by tomorrow early evening. Having acquired the rights to a large area of land outside Galveston, TX and spending some time and charm to get the planning commissions in a friendly mood, my theme park is actually not A theme park, or even two or three, but a collection of smaller parks (each roughly the size of a “land” at a Disney park, perhaps a bit bigger) that are connected and allow guests to flow between them through a transportation network that transitions one theme to another. By keeping these “parklets” isolated, the theming in each can be absolute - while in a specific parklet, it is complete immersion in that world. Each parklet has an overall story behind it with individual attractions and amenities that tell their own stories but draw from and add to the area’s overall story. This arrangement also makes some other things easier, as expansion or refurbishment in one parklet does not disrupt other parklets. Also, operating hours (even down to seasonal closures) can vary from parklet to parklet - very important operationally as LoW ties to expand from a regional park to a destination resort. As a rapidly-rising regional park complex, the early lands are a bit on the generic side. A “Great State of Texas” pays homage to local history and culture. “Colonial Seaport” has proved surprisingly popular, well worth the pains dealing with getting an inland salt water environment set up. A fairy-tale theme land does good traffic with families with small children and some older girls. An example of land-to-land transition would be boarding a "carriage" in the fairy tale land and arriving in "Texas" on a "stagecoach", using technology similar to the Universal's Hogwarts Express to give riders the impression that they are truly traveling between the two. There currently are some on-site hotels and restaurants outside the parks, but limited as LoW is still regional and there isn’t a great deal of demand. Yet. But now it’s time to think “destination resort”. And that means getting some intellectual property that is going to draw people from more than the immediate area. My strategy has been to look for IP with some kind of longevity that is still reasonably popular - ideally, something with a cult following that today’s 20-40 year olds grew up with and are passing on to their own children. Talks with BBC America, who we were trying to work with to secure North American theme park rights to Doctor Who, and who would partner with us on the project, fell through when someone above beat me to it. :) Microsoft/Mojang is taking a “wait and see” attitude toward licensing Minecraft. But we did strike gold with Hasbro, who has worked with us to secure North American theme park rights to Dungeons & Dragons, and who will partner with us on the project. The new Dungeons & Dragons land will pay homage to the over 40 years of D&D, with more focus on modern additions to the game though lore and legends matter more than mechanics in this regard. Welcome to Faerun, specifically, the city of Waterdeep. The city is bustling and thriving, but dangers lurk nearby, and not just in the shady Skullport, a city within a city below Waterdeep itself. 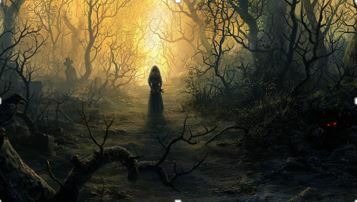 A short journey out of the city gates could lead to encounters with anything from orc to evil drow to dragons, but adventures can come with their own rewards. The entrance area of the park is Waterdeep itself. This acts as the hub for everything else, as well as containing shops and restaurants (and an attraction or two built in). In combination with our corporate sponsor, part of the area will be dedicated to places where guests can see and participate in role-playing game demonstrations, with activities geared toward both introductions to beginners and exposure to additional supplements for the experienced player. Nearby Undermountain is legendary for its dungeon crawls, and guests will not be disappointed if it's treasure and adventure they seek. The black-market town of Skullport will factor in to the guest's day of high adventure as well. In short, excitement is to be found on the ground, underneath it, or even in the skies above. Kevin, great proposal and idea. I could see something similar to the model you proposed being a potential future business model which would allow more investors and creative minds opportunities to enter the theme park industry and increase competition in the market. Perhaps each parklet could be owned and operated by separate owners/investors? This would allow content creators to focus their attention on small, highly detailed attractions and experiences rather than having to spread their creativity thin due to budgetary or geographical concerns. To be honest, I'm surprised no one has tried the idea yet. Great proposal! I'm looking forward to reading more about D&D's park. I hadn't thought about it in those terms, but yes, such a concept could work as a cooperative effort between related groups. It would be a delicate balance between allowing each group to design what works for their concept with keeping some general principles and design ethic consistent across the entire project. Plus all of the revenue sharing, etc. Sorry for the delay but here is my entry. Hope you enjoy. This will be the third theme park from Disney in California and will consume the Toy Story Parking Lot, on Harbor Boulevard and Convention Way, and also surrounding hotels and restaurants. This place will be filled with nine lands that share different pieces of Disney magic. On the far left, you will be able to see Pride Rock peaking over the buildings. This is where the Lion King, and its sequels, will be represented. I am only going to talk about two attractions for each land in brief descriptions for them. For the Pride Lands, there will be a dark ride and, one of the main rides in the park, a roller coaster called King of Pride Rock. The coaster, which starts indoors, relives the fight between Scar and Simba and, at the end, hurls guests outside around Pride Rock before ending. The entrance for the ride is on the other side of Pride Rock but the inside of the mount is The Pride Rock Theater where a live presentation of Lion King ll: Simba’s Pride. This show will have puppets like the Broadway show and act like it is on Broadway. There is a sub land here in terms of Timon and Pumbaa’s Grub Carnival (not related at all to Flik’s Fun Fair at DCA.) This is designed for children and also includes a walkthrough “adventure” to find the lost Golden Beetle, with the help Timon and Pumbaa of course. There as a forecourt stage nearby for the stage show called The Best of the Lion King. This, based on the soundtrack of the same name, celebrates the legacy of the Lion King and its music. There will also be many shops and restaurants as well. At night, there will be the Lion King Celebration using music, lights, water effects, and projections on Pride Rock to explore the story of the Lion King and celebrate the majesty of the film. This is directly to the right of the Pride Lands and also the home of Mike, Sulley, and all of their friends. The main attraction here is the long awaited door roller coaster now called Monster Inc. To the Door Coaster, which will go through the door vault while trying to get to Boo’s door while also trying to defeat Randall…. Again! Also in the city, you will be able to enjoy a taping of the monstrous popular talk show, Good Morning Monstropolis! This will be like Turtle Talk with Crush but will be in a soundstage with the stage a screen and the hosts will be interviewing two guest monsters, Sulley, Mike, Celia, Roz, or George. There will be a new dark ride, a walkthrough “tour” of Monster Inc, and a performance of the Monster Inc Employee Players presents “Put That Thing Back Where It Can From Or So Help Me!.” (The same show Mike directs at the end of the movie. There will be a good amount of restaurants and shops available but Harryhausen’s will be a major restaurant as a character breakfast and lunch spot and a classic fine dining place for dinner. This is the home of Brother Bear and the beauty of the frozen tundra. There are two main rides here. The first is the Salmon Run Rapids, a rapid ride based on the Salmon Run in the movie, and the other is Great Spirits, a roller coaster with the great spirits all around you. A dark ride, named Brotherly Love, is also here as well as The Woodland Comedy Show with Rutt and Tuke and Friends performed at the Rutt and Tuke Stage. There will many shops and restaurants themed to Brother Bear here as the Tribal Celebration Restaurant will be a dinner theater and have a celebration each meal. For the evening, the Northern Lights present Great Spirits. This nighttime show will bring the wonders of the Northern Lights and the music of both Brother Bear movies into one show to behold. Probably the most magical place in all of Disney’s worlds, this is the home of Peter Pan, Captain Hook, Tinker Bell, and many others. The first thing people will see will be Never Land Lagoon, home to two live shows. Captain Hook’s Revenge is a daytime show that puts Peter, Jane, Tink, the Lost Boys, the Indians, and even grown up Wendy in a fight against Hook and his crew to keep Never Land a place of dreams and magic. The evening show is Aquatica, a show on the same level as World of Color. The show takes you through different movies that use water, for good or evil, and how Disney turns it into magic. One of the main attractions in the park is Attack on Hook. This ride is the first ever pendulum, shooter, dark ride ever done. You are in a flying pirate ship to stop Hook from claiming Never Land for himself by shooting special bombs, made by Tinker Bell herself, which stops the pirates and sends them flying to a special place and also restores the island too. The vehicles swing like a pirate ship carnival ride as you shoot at the screens. The Lost Boys Hideout will be one of the largest playgrounds in the world as kids (and even parents too!) explore the underground home that belongs to the Lost Boys. At Wendy’s Storybook Hideaway, grown up Wendy turns into young Wendy, with help from pixie dust, as she tells us different fairy tales she loves and some new adventures of Peter Pan. The classic whip ride is transformed in a new jewel as there are three versions that cross between each other as they dance with the Indians on three big tom toms. Flying Practice is a chair swing style ride led by John and Michael. There is also a sub land as well known as Pixie Hollow. Attractions are themed to Tink and her friends. There is also a family dark ride roller coaster named Tink vs. Hook where Tink and friends need to save Pixie Hollow from Hook….again! There will also be restaurants and shops too. This land is centered on the question: what if all the fairytales lived in one village? This land is based on movies not represented with a ride in Fantasyland. Cinderella finally has a dark ride of her own called The Glass Slipper Journey: The Cinderella Story, where the ride vehicles coaches made out of fruit and vegetables made by the Fairy Godmother herself. The Black Cauldron is represented here with the intense roller coaster, The Horned King’s Fury. This is not for the faint of heart. Sleeping Beauty has an actual ride, a new version of a tilt a whirl made in three colors and the ride combines and mixes with each other, and a new musical. The show, Sleeping Beauty: A Magical Musical will be played at the elegant Royal Palace Theater many times a day. Rapunzel’s Light Boats will travel you to the Festival of the Lanterns with “Blondie” and Flynn as your guides. Merlin and Wart are also here with The Sword in the Stone Adventure dark ride. Even the characters from Brave are here in a retelling of the story in Merida’s Quest, a wild mouse, indoor coaster. The Sherwood Forest is the perfect place for Robin Hood and Little John to set up their home and invite people to check it out and play around. Beast’s Castle is here and is home to Belle’s Ball, a “play and dine” restaurant and Lumiere’s Be Our Guest: A Feast for the Eye Musical. This show is full of audio animatronics with Lumiere as your host. There are shops and restaurants as well and will feature The Fairytale Village Square Celebration, where all of your favorite fairytale character comes into the square for a special celebration led by the Three Good Fairies and the Fairy Godmother. This land is dedicated to the musical magic from Fantasia and Fantasia 2000. The paths will have musical notes on them. There are two roller coasters here that will have you wanting more. Night on Bald Mountain is an inverted coaster that takes you up and around Bald Mountain, the spirits brought from the grave, and the evildoer Chernabog. The other coaster is The Firebird: Death and Rebirth, a coaster going through the destruction of the forest and the rebirth it has. Fantasia Adventures is a boat ride that takes you through scenes from both films and puts you in the action. Olympic Gardens places you in a boat shaped like a Pegasus, a faun, and other mythical creatures in a tranquil boat ride through the land of the Pastoral Symphony. The Carnival of the Animals will be an ornate double-decker carousel. The Fantasia Theater will have alternating performances of Fantasia: The Live Experience and Fantasia 2000: The Live Experience, each movie brought to life through puppets, clips, and performers. Flight of the Whales brings you into the Pines of Rome scene in a dark ride adventure. There will also be many shops and restaurants along with the show Donald’s Crazy Symphony at the Land of Music Amphitheater. The show is all about Donald conducting a symphony of other Disney characters in a wacky performance. This is where magic meets action. The big ride here will be Woody’s Gold Rush. This simulator will put on an adventure to save Jessie and the Prospector and has an explosive ending. The short “Two Gun Goofy” is the basis of Two Gun Goofy Rides Again, a dark ride where everyone rides their own horse as they try to stop Pete from robbing all the banks in the west. The movie Home on the Range is the star of the family, dark ride coaster called Showdown at Little Patch of Heaven. Also, Alameda Slim has his own show at The Secret Lair Stage called Alameda Slim’s Cowboy Yodel Fest. Davy Crockett’s Westward Ho! Roller coaster is the other big attraction here. At the Wild West Arena, you can experience Pecos Bill’s Rootin’, Tootin’, Shootin’ Shoot Out and Stunt Show which features Pecos Bill, Annie Oakley, Buffalo Bill, Wild Bill Hickok, Davy Crockett and Pecos’ girlfriend, Slue Foot Sue. This land also includes restaurants and shops. This is the last land and the jazziest one of all. Two films call this their home, The Rescuers and The Princess and the Frog. Tiana’s Magical Mardi Gras is a trackless dark ride that has the ability to hop and bounce while it goes on an adventure through Tiana’s strange, but magical adventure. The Rescuers’ Little Journey is a boat ride to save Penny from Madame Medusa and her henchman Mr. Snoops. Dr. Facilier’s Friends on the Other Side is an audio animatronics show set in a theater in the round, just like Alien Encounter and Stitch’s Great Escape, as Dr Facilier traps you inside to witness his “Friends from the Other Side.” This is definitely not suited for kids up to eight years of age because this ride will be scary and more for the older people. Madame Medusa’s Swamp-Mobiles will be an Aquatopia-type of ride, with versions of her Swamp-Mobiles around the bayou. There will be a Mardi Gras Celebration every weekend with food, music, and a big parade down the quarter. There will be a multitude of restaurants and shops with Tiana’s Palace being a character dining experience with characters from the movie, Madame Medusa’s Riverboat of Evil will be a character dining experience with everyone’s favorite baddies, and Mama Odie’s Gumbo Hut for your Cajun inspired cuisine to name a few of the special restaurants there to choose from in Jazzy New Orleans. I hope your day here at Disney Time Theme Park has been a magical one. You may be wondering why I chose these lands. You probably would not put New Orleans with Alaska or the Wild West with the Pride Lands but I did this to have a variety of Disney magic for everyone to enjoy and experience new things you never would expect as being Disney magic. Thank you and I hope you enjoy it! Let me begin by saying that there is some definite potential in each of these proposals, and I can tell this season is going to be fantastic! Now, just let me ruthlessly judge these things you’ve spent hours working on! We've decided each of the judges will "rank" the auditions. This way we can compile the points into a league table of sorts. 10 is the best, and 1 is the worst. Scott E: “Americana:1900” is definitely a unique idea. This was a fantastic time in our country, and one that seems to sum up America as a whole. While the park seems well thought out, I’m not sure there is a place for a well-themed attraction. Most of your lands which will include attractions seem to consist mainly of strictly amusement type rides. “The Boardwalk” and “County Fair” seem like they only provide a home for the more generic rides, and maybe a coaster. Overall, you do have a fantastic concept here, just not a perfect one. Christopher Sturniolo: The idea of an underlying storyline for your park is absolutely brilliant. The only major practical problem seems to be that there would likely be a bottle-neck effect at the tunnels, and going through them would get old fast. All of your lands are well themed, and provide opportunities for top-notch attractions. Luca Ferracuti: Disney city is an interesting concept. It provides an excellent way to pack a TON of Disney IP into on park. However, to me, your lands seem way over-specialized. Frankly, there are far too many lands for this to really work. Some of your lands are really good concepts, while others seem to just be excuses to use the IP. Also, many of your lands seem to be “borrowed” from other parks, which does not easily lend itself to new attractions. You have a very creative idea here, and it can be developed into something fantastic. Keith Schnieder: While I regret having to make you cut Middle Earth, rules are rules! Even with this adjustment, “Lost Kingdom” is a great concept. You managed to work in some great IP without focusing the entire park around it. Just an aside, is the Hercules show based on the movie, or the original myth? Or had you not thought it out that far? Great park, Great attraction ideas, Great job. Jay R.: Disney Space is a brand-new concept. Your park does seem pretty IP centered, but many good parks are. The idea of the “blast from the past” land is new, but it seems like the attractions would soon go out of date again. Great concept, and I can't wait to see how this plays out. Travis McReynolds: Now, I’m not a video-game person, but if i was, I’m pretty sure this would be Heaven. There are many elements here that would even work well for people like me, who have only heard of most of these games. Your lands are geographically diverse and differ in intensity of the games they represent. Your park seems to have a lot of walkthroughs though, which are generally not crowd-drawers. However, If I had the opportunity to step into a video game through it, I would certainly take it.. I just have trouble finding too many negative thongs to say here. Parker Atkin: Somebody looked at my profile picture. I may not be a video-game person, but I am definitely one for some Doctor Who. Your park is good, and includes some of the best locations in the show. “London o’ yore” has a bit of a time gap. 300 years actually. That’s the difference between Shakespeare’s time and Victorian London. But that's nit-picking, and theme parks do this kind of thing all the time. You have a variety of attraction types mentioned, but you failed to name or give themes for any of your restaurants and shops. Overall, I really do like “Whovia” (excellent play on Whovian, by the way) and think it has some great potential. You will have to be more specific on future proposals though. Blake Meredith: I’m just going to say it. “Realms of Imagination” is Far and away the best park proposed. It would be a positive if it relied a bit less on visitors having “Disney Infinity”, but almost everywhere you did, there was an option for people who did not. Your interactive experience is unique, your lands are varied, and your attraction ideas are spot-on. Your use of images is stunning. I know nothing about Kingdom Hearts, and yet, that land still made sense and seemed like a good land. Your proposal is well written, and you finally gave the villains their own land! Give the people what they want! You have an excellent theme park here, and I expect you to go places. Kevin Krom: The concept of Parklets is good, but I think I would enjoy your park more if either D&D was the sole theme, or if you described each of your “parklets”. Another thing I know nothing about is Dungeons and Dragons. However, your concept is good, and your theming is strong. The park seems like I would have fun at it, which is a big step. You know you have a good park if people who know nothing about your theme still have a good time. Brett Angwin: The name “Disney Time” confused me. It told me nothing about what would be in the park. Overall, a good, strong proposal. One other thing is that your park has a lot of shows. It seems to be a high show-to-ride ratio. Basically, there’s no way someone could see them all. All of your lands seem entertaining, and I’m glad you got your proposal in on time. With exactly 10 competitors, we have decided that you will all be going on to the next round. I’m looking forward to a fantastic season! Hooray! So, Firstly, A massive thanks to everyone who has posted a submission. The response has been excellent. Usually at this stage one or two people stand out but this year, for me at least, I see something in everyone’s park that excites me. So, without any more preamble, Here is my first ever TPA official critique post. Ill follow the order in which they were posted. I applaud your bravery in going first. It allowed the others to see the way the competition was maybe heading and afforded them the chance to change their ideas if needed. Yours was a tough one for me to critique. I get the idea of your park and like it. A lot in some places. As a father I loved the idea of a petting zoo. My daughter is crazy about animals and this was great to see a real family friendly start to the competition. However, Theme parks today need to be bigger, faster, and scarier than they were yesterday and your proposal did seem to lack some of this. The County Fair seems like the thrill center of your park and I think you'll need to come up with a surprise or two if you stand a chance of winning. That being said, it does have a quaintness feel about it that reminds me of a place called Rainbows End, a small and insignificant Park I adored as a kid and was generally upset when it closed and my family had to go to Thorpe Park instead. This is a proposal that I could see actually being discussed at Disney HQ. One that would likely be dismissed but discussed none the less. I am very pleased to hear that elements of your park will have a darker, more serious tone. As long as this is managed well it will give your park a lovely synergy. Your ideas strike me as well thought out and very exciting. With quite a few proposals choosing to have several variants on a theme (Star Wars, Ancient Greece, Old London) These particular areas will need to stand out somewhat to be winners. I am surprised that there is as much educational titbits in your park as there are. Upon first reading, I missed them, and for me that’s good. It shows that you are not trying to make your park preachy or overly educational. It’s a difficult balancing act to make it work but I think you might. I was quite excited to see you have included dinosaurs in your park. Generally I feel that they have a huge potential when you are not tying them to a property (Dinosaur, Jurassic Park) and you have carte balance to blow us away. For me, the old saying, "Go Big, or Go Home" is very apt. I actually like the fact you have been very brief in your proposal, it allows you plenty of scope to later on develop the rides and attractions for each of your themed areas. As I said, this park would be big. Very Big. If you are going to do all those properties justice, Star Wars land itself could be the size of the Magic Kingdom. Last year I went with Lucas land as my own park design and I could have filled everything with Star Wars, and this is where I foresee a tactical problem for you. Do you A) go with your big hitters (Lion King, Star Wars, and Frozen) early on and try to get through the latter stages or B) save them for later on when undoubtedly, the competition will get harder and hope some of the other parks run out of momentum. I applaud your ambition but I do have concerns that you may have difficulty representing all 16 properties in a way that do them justice. Remember, EPCOT does not have a major attraction in every country and with your choices, I would want (as a guest) to see each and every one of your properties in a way that is both engaging and beneficial to the park as a whole. Too often things can be seen as an afterthought or added in to appease the latest fad. That being said, if you can pull it off things are going to get very exciting. My first thought was very interesting notion. And perhaps a little ambitious as well but after reading a third and fourth time I think I understand your park pretty well. All the elements are there and again, you leave plenty of scope for adaption and nothing is nailed on, which at this stage I feel is pretty important. I especially like the fact that you seem to have really thought about what you want your park to be and if you can stick to the ideas you have outlined, I will look forward to reading more of your submissions. However, Like Luca, I urge you to be careful that you don’t go too heavy on the big properties. When you’re planning a park like this, it is easy to go overboard with Star Wars and Marvel. My personal opinion is you have done well to include some Disney staples in your park like Space Mountain and Mission to Mars. As we have seen, having duplicates of successful rides is by no means a short cut. Transformers, Harry Potter and Space Mountain have all proved to be popular franchises in whichever park they are in and it gives your park a very 'Disney' feel to it. I’m trying to be brief and give all the competitors the same amount of time, but I could talk about the potential I see here for quite a while. It’s been teased before and many people have probably considered this idea before and you have a mammoth job on your hands. Not because I think you can't do it, but because my expectation here is pretty high. So far I am impressed. You, like Jay, obviously have a vision but you have left some wriggle room. In your proposal you mention a ride that I am very excited about. Mario Kart. IF you do this ride and do it well, you might have a slam dunk for right there. Everyone I know loved Mario Kart and much like Toy Story Midway Mania, you can show that rides don't have to be roller coasters to get fans queuing. Your theming is spot on and at this stage I cannot find much that I disagree with. Hyrule could be your secret weapon. At first I wondered if it could work in a theme park environment but again, after a few readings, I can see your idea and if I am interpreting it, you have me convinced. I said I could find little to criticize but in the grand scheme of things, would your park be filled of instantly recognizable property? Mario and DK obviously, but Ganondorf and Samus perhaps not so much. Overall you have made one Nintendo geek very happy with your choice and as impartial as I am, some ideas strike a chord more than others. Let’s just say I’m glad you didn’t pick Sega Land! I like this park. You have etched out some good ideas and I seem to remember a previous winner had a park with a heavy Greek theme. Proof if ever that you don’t need to follow the norm to be successful. Your park looks like it has something for everyone which is a big tick for you. I know you had to rework some of your entry and you have not lost anything by doing that. I have a vision in my head of your park and it flows very nicely. I would love to spend some time at your Medieval Court. I am always pleased to see some forgotten faces get some love and Wart and Merlin are two that I am very happy to see along with Robin Hood. Considering the stories that surround them, I am a little surprised that Disney hasn’t utilized them more in their actual parks. Your proposal, like the others is a great start and I look forward to seeing it fleshed out. My wife has also been reading these proposals and she wants me to say that girls in general love Unicorns and Elves and to make sure as your park develops you do not lose this magical aspect of your park. It is one of the things that can really set yours apart from the competition. For me, the Atlantis section could be the gem in crown. I have a good feeling about your park! Let me start by saying, this was a very well thought out, intriguing idea and one that has caused me a headache. I am not the biggest fan of Dr Who. I have watched it, enjoyed it at times but I have to be honest, the depth you have gone to has me a little perplexed. Your statement that it is perfect for casual fans may struggle to ring true. Will fans of the original shows back in the 60's and 70's know what Torchwood is for example? I was able to follow your proposal and loved certain aspects of it, but in truth, you could have made the majority of it up and I would not have known. Casual fans are familiar with the Tardis, the Dr, Daleks and perhaps the sonic screwdriver. Everything else is a little too fan boyish for me. Please don’t think I dislike your idea, I don’t. I think that with the right preshow areas and enough fun, no one will care that they have never heard of Two Streams or Gallifrey. Your attractions are very appealing. I love the 2 streams facility and the Old New York areas. Despite my lack of knowledge and perhaps unfair criticism, I can see huge potential here and I hope you get a chance to really convert me. Dr Who has a massive global fan base and you are appealing to them not me, so please, do not change your vision, I want to be able to see what you see. You obviously have a passion for this and it shows in your proposal. I said earlier that I was aiming to be brief for this first round of proposals as we’re really only getting a taste of what you can do. However. Blake. Your park has me mesmerized. Anyone who knows me will attest to the fact that I love Star Wars, and my wife said I’ll just favor parks with those properties. You have blown that theory away. I love the notion of the RFID and the battle for the park. Synching it with Infinity is a great idea. I cannot see any area that doesn’t whet my appetite but I do particularly appreciate the fact you found time for Wreck it Ralph's game station. I hope there will be a Fix it Felix arcade game for guests to play! I always felt the film didn’t showcase that and you have given it a platform. As with before, I wonder if Kingdom Hearts is a viable property but I think in this environment it will work very well. Your level of detail is very intricate and I hope you maintain the standards you have set yourself. I have read your proposal several times and you could certainly have a winner on your hands. Unlike some others who run the risk of over using some property, yours seems to have a delicate balance which I find very exciting. The use of technology is both ambitious and exciting. It is evident a lot of thought went into this idea. At this stage no one can be considered the front runner but should you live up to expectation, to paraphrase Olivander, "I expect a great many things"
What a novel idea. This had never occurred to me and this way of thinking is testament to your alternate reality work space. If you can pull this off then I doff my hat to you Sir. I find this proposal to be borderline genius. As a Brit, I love the fact you have taken the time to include some homages to the local area. The Stagecoach should be a fantastic journey and is one attraction I would be happy to wait for. I'm glad you opted to move into the IP market and your choices of D&D and Minecraft are sure to be popular areas. I feel that your take on the future of theme parks is a very real possibility, much like the fairgrounds of old, where by several people clubbed together to form one large venue. Your idea is going to be one that I would love to see progress, only to see what else you have in store. The proposal allows the imagination to take a wander and what I see in my head might be vastly different to what you have considered. Like Blake, I applaud your use of technology; I think this is the way that parks will be heading in the future and the ability to level up your avatar gives you scope for plenty of repeat custom. Here we reward creativeness but in the real world, it’s the mighty dollar that speaks and you might well be on your way to the bank. Especially for children and their need to always play one more game. Parents might not appreciate it much however! A good idea that I think needs to be expanded on. I like your initial ideas and in the future rounds hope you can flesh some of these ideas out a bit. It strikes me as a smaller park than some of the others proposed but this is only a brief outline of course. Your Pride Rock area seems to have some potential given the huge affection for the Lion King franchise and I am quite happy to see you give a whole space to Neverland. Peter Pan and his friends have a huge amount of potential, and I’d really like to see something special happen here. That being said, some of areas do need to be worked on and if you are going to be a serious contender I think you will need to really plan ahead to maximize your chances. I can imagine you having a plethora of choices early on but maybe find it things a little tougher as the competition progresses. But, then again, your proposal seems to be well thought out and I have a suspicion that you have already considered this as a possibility. I know I may have seen overly critical to some and perhaps lenient towards other. The thing that strikes me is how different the judges opinon's are. We all are looking for different things in a park and the next round should be very interesting. Well done to all, I found every park to have some great ideas and I am looking forward to the next round. I really struggled with the points here, the bottom 4 could be in any order really, I changed my mind several times. From now on of course, we will be judging individual attractions and next time, we could easily a massive change in the pecking order. I will post mine a little later, but I will say they are all excellent! First off, great job everybody! Every submission this year is a quality park, and while some need more work than others they all have potential. For critiquing this round, I tried to keep it to 1/3 of a page per proposal and point out things I liked and areas I thought needed work. I highly encourage you to read your critiques from all five judges, as each will likely give different advice. Scott (Americana: 1900): Unlike the typical old west theme that is common in parks around the world, you've managed to create a park set in America's past that is fresh and unique by targeting the turn of the century in small town America instead. Maple Grove sounds like a nice introduction to the park, and each of the themed townships are different experiences that share a common theme. I'm hopeful that you'll have some interesting concepts for the Boardwalk and County Fair sections, as there are numerous amusement park attractions that no longer exist and could be revived for a new generation. However, don't neglect the other areas of the park when it comes to headliners, and remember that not everything needs to be a Disney E-ticket to be good. Be very careful with Green Springs, however, as water parks are a relatively modern invention: you can have one, but you must disguise it and not include anything that wouldn't exist in nature. I'm also not quite sure what the significance of having each township be a self sufficient park is. All areas need attractions, dining locations, and shops, but is it really beneficial to have lockers all over the park and is the park big enough for several first aid stations? Overall, this is a solid concept and I look forward to seeing what you do with it. Christopher (Disney's Age of Discovery): Excellent choice of theme! The Society of Explorers and Adventurers is one of Disney's most creative modern ideas not linked to a film, and I'd love to see it expanded upon. The idea of having fully enclosed areas is great, as few parks have such a thing even though it could be a significant benefit. While some of the themed areas have been done before, they are unique to Disney and you've made an effort to avoid similarity with other parks. While the themed areas would probably make the park more appropriate as a third park for Disneyland Paris, they can work in Hong Kong as well provided you cater toward an Asian audience. I suggest doing some research to make sure whatever themes you choose for attractions are relevant, as something studied in the western world could be virtually unknown in China. Be very careful not to let the Futuristic area be too similar to Tomorrowland as that would be extremely detrimental to your park. If you put a roller coaster here (especially an in-the-dark flight through space), it should be as unlike Space Mountain as you can possibly imagine. Overall, a solid idea that definitely has potential as long as you mind the details. Luca (Disney City): This is not only one of the biggest theme parks Disney has created, but one of the largest and most ambitious parks anywhere. If pulled off successfully, this could be a great project, but you must be very careful when making decisions as there are many pitfalls here. Setting the park in Latin America, where Disney has yet to develop anything, is both a huge benefit and a great risk. Walt Disney World is a popular destination for Brazilian tour groups, but much of the region is less developed than locations currently hosting Disney parks and the park must fit the market. You may want to downsize your park to a more manageable 5-8 lands, as the profits from the park would not likely offset the cost of construction for a mega park. In addition, your park must be primarily unique attractions and cannot be simply a compilation of rides present at other parks, or you will lose any tourism from outside the region. Lastly, be sure to do your research: Last time I checked, Turbo was not a Disney movie (it was DreamWorks), so it is not appropriate for the park. Proposing an attraction for a Disney park based on a non-Disney property is pretty much a game-ending move in this competition. That said, your idea has potential, and is just a higher risk concept with many ways that it could go wrong. Do it correctly, however, and you'll have the ultimate movie-based Disney park. Keith (Lost Kingdom): Walt Disney World is a difficult place to design a fifth gate for, but you've done a pretty good job. While some areas of the park would work at other Walt Disney World locations, they fit this theme quite well. Ancient Greece is a great gateway to a park themed to legends, as it was the origin of most well-known mythology. 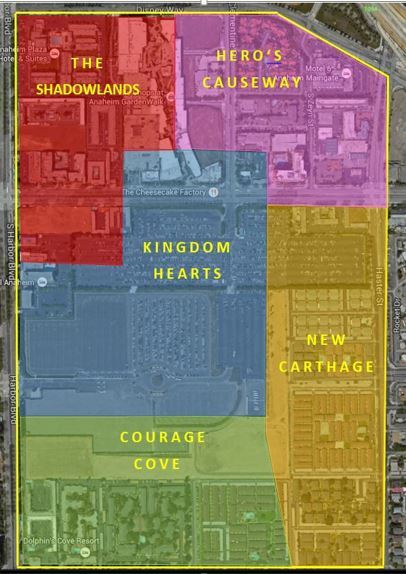 The three Fantasyland-esque areas all give plenty of potential for new attractions based on Disney properties not featured elsewhere at the resort in a significant capacity, though you must be sure not to overlap them too much and may want to place Kingdom of Arendelle and Medieval Court on opposite sides of the park to separate the castles. Including Star Wars in this type of park may not be the wisest choice, as the futuristic setting of the series clashes with the ancient/medieval feel of the rest of the park. It would guarantee the park is a draw, but if you choose to keep it be sure it is not detrimental to the overall experience. I will not comment on the original intention of using a Middle Earth land, but as you are creating a Disney park I will caution you to be 100% certain something can be used by Disney before putting it into a proposal, as future resubmissions will likely not be allowed. Overall, you have an intriguing park that is significantly different from current Disney parks, but has the potential to be just as good. Jay (Disney Space): Space exploration is such a popular topic in science fiction that I'm surprised more theme parks don't capitalize on it. As California also has a lot of aviation history, placing this park at the Disneyland Resort is very appropriate. All seven themed areas of the park sound great, and each is distinct while still being connected to the rest of the park. A Star Wars themed area would be perfect for this park, and with the intergalactic side of the Marvel Cinematic Universe increasing in prominence (as well as the overwhelming success of Guardians of the Galaxy) a Marvel land would be appropriate here as well. I also love the idea of having a land devoted to entirely original concepts, as well as one dedicated to attractions of the past. I do caution you about putting carbon copies into the area, however, so perhaps instead of reinstalling old attractions you could redesign them and create a new modern version with the same theme. Also, be sure not to let any part of your park become too close to Tomorrowland, so if you want a new Space Mountain it better be a polar opposite from the version over at Disneyland. Overall, this is a great proposal and as a fan of science fiction I'm very interested to see what you can do with it. Travis (NintendoLand): As the biggest name in video games, a Nintendo theme park would be excellent for the world's first video game themed park. This place would be a must visit for any video game fan, as they would be able to live their favorite games instead of just interacting with them through a controller. The six themed areas are all good choices and represent some of Nintendo's most popular and well-known franchises. Mushroom Kingdom and Hyrule would both be especially popular, as Mario is probably the most recognizable video game character in existence and the Legend of Zelda series contains some of the best games ever made. The rest of the themed areas all have interesting elements and represent completely different environments, encouraging guests to fully explore the park. I am a bit disappointed that there isn't a Pokemon land, as that is the one glaring omission from Nintendo's lineup here and, if nothing else, would probably have more merchandising opportunities than the rest of the lands put together. The main warning I have for you is this: Make sure your park appeals to non-gamers as well as Nintendo fans. It's fine to add stuff for fans, but someone with a limited knowledge of Nintendo's games should be able to walk into any of your attractions and enjoy it, just like someone who's never seen Star Wars could enjoy Star Tours, for example. If you do this right, your park definitely has potential to be a winner. Parker (Whovia): Admittedly I don't watch Doctor Who, so my knowledge of the show is limited. That said, you have done a good job of choosing locations which sound appealing even to someone who has no clue where they are. This park has a good mix of different themes and a variety of different potential attractions that can be enjoyed. I do question the choice of having two separate London themed areas, however, especially when you are building the park in London. It also sounds like you have replicated some London tourist attractions in the park, such as the Tower of London. Presumably anyone who is visiting Whovia from outside the area will also be spending time in London, and those local can go whenever they want, so perhaps you should condense this to one area that only features locations significant to the show. Also, as I told Travis, be sure that your attractions will appeal to everyone, not just Doctor Who fans. This park definitely has potential, and if you do a good job perhaps you'll get me interested in the show. Blake (Disney's Realms of Imagination): A brief overview? This is closer to a final proposal. Anyway, you have a great concept for the often suggested heroes and villains Disney park and have chosen an outstanding location for it. I also really like the way you have incorporated RFID technology into the park, as Disney will probably be using Magic Bands and RFID interaction in all of their parks by the end of the decade. All of the lands seem interesting and I am glad you have chosen to incorporate some lesser known Disney properties instead of sticking to known crowd-pleasers. This will definitely solve the question of whether the park is worth a visit to someone who's visited other Disney locations. One thing I'm not overly fond of is the use of sub-lands, as it can feel like you are short-changing a property. If you want to give a franchise multiple attractions, it should probably have its own land, so you may want to consider making Enchanted Forest and Narnia into their own lands instead of smaller sub-lands. That said, due to the nature of Wreck-It Ralph your concept for it fits perfectly where it is. Overall, this is an excellent proposal for a park that, with some polishing, could rival Tokyo DisneySea for the best park in the world. Kevin (Lands of Wonder): The premise of your park is certainly intriguing, but I must say that I am not sold on the idea and am confused by several aspects. Is this intended to be one large park with several areas, or several small parks inside of a resort? From what you've described, this park sounds similar to taking Disneyland, spreading the various lands out over an area the size of Walt Disney World, and requiring usage of the railroad to get between lands. For me personally, this would get very annoying after a couple uses, and from a practical standpoint it would probably be unfeasible unless you had a limited number of people in the park. Now, as for the Dungeons & Dragons land, that is a theme that definitely has promise. Although not a major film franchise, you could create the ultimate medieval/fantasy park using the material from the game. The areas you described sound great, and I really like the RPG aspect as it adds a novel feature to the park and allows guests to live the game. As a park, however, it seems too small to be a major destination, and from the other lands you described it doesn't really mesh well. You've stated you intend to focus on the Dungeons & Dragons area, but do you intend this to be a full park or an area of a larger park? In order to be successful in this competition, you need to either scrap the rest of the resort to develop Dungeons & Dragons park as a stand-alone theme park or focus on the property as a whole. Brett (Disney Time): While I don't like the name, I do like the concept. Using the third gate at the Disneyland Resort for a park based on animated Disney films not represented elsewhere isn't a bad idea. All of the themed areas are well done with great attraction concepts not seen in any existing Disney park. I especially like the Pride Lands, Monstropolis, Fairytale Village and Alaska (and not just because my Brother Bear dark ride won my first attempt at this game back in TPA 4). However, I question the wisdom of the Wild West and New Orleans themed areas given that Disneyland has Frontierland and New Orleans Square. If you choose to keep these areas, they must be radically different from those that already exist. Also, be careful with your attraction selection, as your park seems to have rides that either sound similar to each other or similar to those existing elsewhere at the resort, plus you've got enough roller coasters to call the place Six Flags Disney (I count 10, and no existing Disney park has more than 4). Lastly, be aware of space limitations, as the site you have picked probably could not accommodate everything you listed. I'd suggest cutting one or two lands from the park and limiting the others to one E ticket and two to four other attractions. Overall, however, I like this concept, it just needs some work to get it to a realistic state. While I didn't have too much trouble splitting the field into an upper group and a lower group, it was difficult to rank all these proposals. The top four and bottom three are nearly interchangeable. Don't get discouraged if you see yourself near the bottom of this list, as I am only one judge and even the worst proposal this round is still a quality piece of work. Good job everyone, and I look forward to seeing what is to come. If it seems I am picking a lot, don't freak out - its my job to poke at holes. I've tried to offer suggestions where I've poked, so hopefully it will seem like the constructive criticism its intended to be. Scott E/Knight2k - Americana 1900. First off, don’t have any fear in going first. Personally, I liked getting in early and claiming the “territory” I wanted to work in, before someone else posted and made me have to retool something because I didn’t want it to be identical. If I didn’t think I could get in first, sometimes I think I posted a teaser to get the same effect. Waiting for the last second before posting is a recipe for procrastination. On to your entry however. Obviously you’re a fan of the Disney Parks and there’s no crime in that; however I’d strongly encourage you to try and add a few more degrees of separation between you and Disney, and perhaps explore a different time period, or at least highlight different elements of that time period - Trying to out-Disney Disney is a very risky place to be, because you’re going to be compared back to the original, rather than on your own merits - you want your park to be a star in its own right, not the Disney park you go to when you can’t go to Disney, so make sure you do everything to ensure that's not the case. However, I can see you’ve selected some areas that are different from Disney experience. Your choice of Maple Grove, over the Courthouse Square as your “entrance” I thought seemed a little odd, the more “built up” area of the courthouse square tends to lend itself more to the services that you need to cover in an entrance area… I’m not sure if this is a bad choice, or a stroke of genius will become apparent later on. County Fair Jumps at me as one of these things - To make it “amazing”, I think its you’re going to need a lot of thought in. I was reading some books about the history of Alton Towers, and something that jumped out at me was that they don’t want to include rides that you can find at any traveling carnival, because why would you travel across the country for a few flat rides you can find anywhere? The answer of course is you wouldn’t. I’m not saying you should “scrap” this area neccessarily, but you should look at ways to “reinterpret” classic rides into a new experience that invokes the imagery of those classic rides, but gives a totally different experience. The Boardwalk is very similar it seems. Equally Morrison Farm, every Zoo worth its salt has some sort of “petting farm”, and every “Farm experience” tourist trap has a bunch of crops and maybe a tractor ride or two. If you’re going to make this a distinct area, you need to make sure it includes some sort of experience that is going to be worth going across country to see it for. Green Springs I do like. I see fun, wet, splashy sunny place, and I can hear the big band playing in my head as I read this. I think you can do a lot with the retro/victorian/industrial revolution theming in this. However, the best piece of advice I can give at this point is: ask yourself for each land what is the stand out experience that people will travel long distances for just to experience? If you can’t answer that, then you need to retool, rework, or replace (and don’t be afraid to replace - In Magna Britannia I threw out the name and several lands between pitch and the final challenge). If you can answer it, make sure you tell us so we can get as excited as you are. Adding a second gate to Disneyland Hong Kong isn’t a bad idea in its own right, but you have to make sure you go the extra mile to make sure its not compared to the original but stands in its won right. (I’m also going to just presume there is space at the Hong Kong Site rather than get picky over that, as I don’t know the territory and might just be using my own pre-concieved notions as to the density of Hong Kong if I do). You do however seem to have thought out well most of the areas, and have in some cases put thought into the attractions in some. I don’t see a “must have” yet though. I’d strongly however considering learning from Disney’s mistakes when it comes to the futuristic area… Disney have had to keep reworking that area in order to prevent it from being dated and actually represent the “future”… Even 90’s ST:TNG is starting to look a little long in the tooth, whereas a historical area doesn’t have the same pressure to remain current. Think very carefully about how do describe and design it to avoid this problem. I really like the idea of Renaissance Italy especially the themed flying device attraction… but I’m not sold on the on the boat ride to The Odessy being an E ticket attraction…I guess it depends on exactly how you play it - if its more dark ride than thrill, then you risk it being dismissed as a kiddy ride no matter how good it is (Charlie and the Chocolate Factory at Alton Towers jumps out at me as a spectacular boat/dark ride that falls into this category), but if you go for more the thrill angle, you can create an memorable experience (the defunct Bermuda Triangle at Sea World Australia was an amazing example of this in its day). Dinosaurs…. Well whenever I think about the words Dinosaurs and Disney, three words come into my head “Not the Mama”. Maybe I’m showing my age with that reference. Getting back to your park, you have the problem of running head first into Universal Studio’s here - you are either going to have to make sure this experience is different enough from Universal so that its never compared with Universal, or you are going to have to out Jurassic Park Jurassic park to an amazing degree so you win that comparison contest… Not sure I’d want to get into that fight. Victorian England… I kinda get what you’re trying to say, but I kinda object to the way you put it… I don’t buy Victorian England as “Disgusting”, and when I think of “Dickensian” I think of Oliver Twist and Scrooge… but it sounds like you’re going for a sort of Crystal-Palace Worlds-Industrial-Exposition kinda vibe. There’s a lot to work with, Victoria and Albert have left a very real lasting legacy (very obvious in the Kensington/Knightsbridge areas of London). Overall, promises to be a unique Disney park, if you are careful. It is better to do a few things great, than a lot of things not so well. If I were you I’d stop, and think “Which of these lands can I make exciting, unique ideas that excite me”. Remember at the end you’re looking at needing to fill these areas with say 3 rides, a restaurant and a shop at minimum - you’re committing yourself to If we ignore the main entrance 16 x 5 = 80 “Attractions” of which you will need to write at least a paragraph on each- PLUS you’re going to have to fit them into a map that doesn’t look crowded and confuse people. Royalty Palace is one area that I really think you need to rethink. There’s a reason why there is only one castle in each of the parks - because it stands out when its just one, you’re fighting for “view-space”… I appreciate that you’re looking for some sort of experience to fit in all the castles, I think you’d be better at looking for some other “excuse” to have them all together (a big ball, or gala, or festival) rather than too many castles. I’d be very wary about making a whole land around one single Movie like Arendelle, Africa, Earth and Monster World. If you have a dud sequel (and Disney have had more than a few - For every Toy Story 2, there’s a “Return of Jaffa”) or if you don’t see a sequel you have a land that starts to get stale. You have the same problems with outer space that Disney has with Tomorrowland, and that I identified in the others - it requires too much work to keep “Current” and will end up looking dated. You also haven’t given me anything specific to make me excited about going there… I think part of it is your lack of focus. Once you zoom in, I’m sure we’ll see it. I have considered your resubmission, not the original. However, you left a reference to Middle Earth in your updated proposal, I have presumed that is an oversight. I see we clearly have a lot of Disney fans in the house. Nothing wrong with that. With you going for for WDW I hope you choose to include a map of where the WDW resort it is in a later round. Yours seems more well thought out than the other disney parks I’ve reviewed previously. Ancient Greece is a good place to start for the entry, and including Heracles (I prefer the Greek spelling, call me a purist if you wish) in Greece is a must have. If I were you when placing your worlds I’d allow Atlantis and Greece to sort of blend as they’d probably have similar architecture styles and are of a similar period, so would complement each other well. I’d also suggest renaming the Atlantis area, especially if you’re going to avoid any links to the movie. I think Grimm Forest and Medieval court would also likely complement each other well, maybe have it just outside the court… Disney has a lot of back catalogue to work from in both of these areas so you have a wealth of stuff to work from. Arendelle… You’ve only got one movie so far to work with at the moment. I’d suggest maybe looking at a more general nordic theme, and be ready to slide in ancient battles between Thor and Loki when the Marvel license ends at Universal. That leaves the World of Star Wars… I really don’t think it really fits with the other lands. You’ve gone from Old Earth fables to a Galaxy far far away… I hope you can prove me wrong on this. Overall a very good entry, although I would have liked to know more about the attractions you’re planning too. Like the Hong Kong Proposal, I’m going to presume that there is space at the Californian resort to fit another gate. I like how you’ve tried to get into right disney mindset by looking at things like the park logo. Make sure however you pay attention to the lessons Disney have learned with Tommorrowland in trying to keep it somewhat current. I’m glad to see the Wild Blue Yonder there… There’s a lot you can do with this AND avoid the Tomorrowland problems by looking at the “classic” era of Flying (Biplanes, Lindberg, et al). First Landing… I see what you’re trying to do creating a “Yesterland” inside your park, but I’m not sure if historical space accomplishments works with them… Although it is a sure way of bringing older Disney fans back into the park. Overall though, a good proposal. It might seem like I’ve poked a lot of holes, but that is kinda my job. I think this would be a good park. Wow. I think there might have been some sort of NintendoWorld back in a very ancient Theme Park Apprentice series, but your entry is brilliant. 8 Bit Avenue sounds like a perfect place to start the journey. The only thing I have to worry about is the choice to use Princess Peach’s castle in the same role as Cinderella’s Castle, or Sleeping Beauty Castle in Disney Parks… I’d instead suggest using something else here that will stand as a contrast to that (If it must be a castle, perhaps Bowser’s is the way to go? It would be a contrast to the happy/bright Disney castles, and he seems to be absent from the proposal so far). Before I get into the lands, thank you for detailing the attractions you’re planning. It makes it seem even more thought out, and gets my appetite going for it. I’m not sure about using NES cartridges as “World Gates” as it might be too “old” for some players… I’d suggest using something a bit more timeless (pipes?). Mushroom Kingdom sounds brilliant, and not including Mario Kart would have been a glaring omission, so I’m glad you put it in. One thing I am concerned about however is maybe that at least part of the area is to feminine… You have a great encounter area for the Nintendo Girls, but boys might feel a little left out, so make sure you balance this out - it reinforces the old gender stereotypes I know, but your job is to make sure all guests feel comfortable. Hyrule is a great area to include too…. I’m concerned about the choice of another “bright” castle, but it being small/forced perspective alleviates my concern. An idea someone reading over my shoulder has is to make sure you include the iconic sound effects of the series in things like stores and play-to-win games (if you include them - there are so many mini games not including some of them seems a crime) , such as the “Item acquired” sound. Donkey Kong Country hits your proposal right when I am asking “Hey, where are E-Ticket thrill rides”, and you mine Kart Mayhem fits the spot. Not sure about the Crystal caves - but only because you seem to have a lot of walk through attractions as it is, not due to this particular one. Planet Zebes sounds like a very interactive area, good to see another thrill ride, but again, another walkthrough attraction? I’d look at all of your walkthroughs and perhaps examine if some of them might work with other ride systems. Popstar… The Kirby thing I think presents an engineering challenge BUT if you can get it to work… Awesome! You would have to perhaps be careful to keep mischievous guests from placing other items to be sucked up, but it would be something surely every guest would stop and video. Lastly, whilst I agree that Green Hill Zone would be a nice addition to the area… You’ve missed what is perhaps Nintendo’s hottest IP… Where are the Pokemon? Overall however, I am extremely excited to see more! Hell, where can I get tickets? Basing a park on a single IP - even one I like as much as Doctor Who doesn’t seem a good idea to me. You’ve already limited your audience to fans of a single show, minimizing your appeal. I would suggest retooling to a more general overall theme, with a Doctor Who related “world” within it. Also, your submission seems to be cut off at the end with a stray “and” - watch the attention to detail. Your description of the 2 Streams facility is a bit complicated, you mention it in New Earth, and then its mentioned as a land in its own right - are we talking about a Epcot style Pavilion? I’m not convinced about the Moon… it seems rather generic, and its going to be hard to get the “I’m on the moon” buy in I think given gravity and just general looking around. For a series that focuses on going anywhere in space and time, I think there’s too much “Earth”, I’d have included a Skaro area to try and balance this. Overall, I think you have a lot of thinking to do, but I’d focus it initially for how to attract more than just Doctor Who fans. Maybe look at other BBC series that could fit into general historical themes (Musketeers, Atlantis, Merlin, etc). Blake Meredith - Blake M- Realms of Imagination. RFID... I'm torn. On one hand, I am personally opposed to such pervasive tracking, but there is no doubt that this is the future. Not only does it engage with the guest through gamification of the park experience, the "creepy" side of it allows park management and designers to watch real guest flows, see what displays make guests linger, and help sort a "hit" from a "miss". On balance good for you to address including it, but make sure you don't forget the refuseniks. I love the detail in your lands, and including the D/E attraction makes them seem even more so. The images you've selected get the tastebuds salivating. Narnia is a great inclusion - grandparents,parents and kids will all be familiar with the lands of CS Lewis from childhood, but there might be some IP issues with the movies being split over 2 companies. I'm not familiar with Earthsea or New Carthage however - that said I'm tempted to look them up now. This entry is amazing, it looks like you've read the older competitions and have taken the lessons others learned "the hard way" on board. Good to see a non Disney park again. I like your in “in universe” writing style. Don’t worry about others “using” your ideas - personally publishing early was something I liked to do to “scare off” others going over similar ground, but there is no rule that says you can’t do what another has done (and if they have published it, there is no rule that says you can’t then go and make yours better again). Dungeons and Dragons - I’m a RPG player, and whilst I’m not a big fan of D&D, I can see the appeal to a certain type of visitor… but it also might put off a certain type of visitor too - I do know there are some ultra-conservative groups in the US who have a real hatred of D&D ( This sort of thing (which is funny from simply how uninformed it is) is what I’m getting at:http://www.chick.com/reading/tracts/0046/0046_01.ASP). Maybe 30 years on they’ve all forgotten or moved onto the new boogeyman of the month, I don’t know. I would like to have seen more detail on what you plan to include in this area, and more about how it will work given that it is so different to anything. I feel like your pitch is like walking past a restaurant and smelling a sweet aroma… but not even being allowed to read the menu, much less taste any dishes. Leaving me wanting more is good, leaving me wanting something to start… not so good. Lets start with the name… With a name like that I was expecting some sort of time travelling theme park (to which I would have wondered what makes it different from Disneyland in general)... Instead, your name is kinda meaningless and tells me nothing about the park. I know names can be tough (I went through a couple last year after getting very early feedback that my name sucked), but I’d make fixing that your first priority. You need something that sums up what your park aims to be - I already have a park when I feel its “Disney time”, its right next door and its called Disneyland… Who are you and what are you selling me? Disney Landing… I’d like to know more about this - How exactly are you theming it? I do like the idea of a large clock… Maybe you could look at some Austrian/Swiss setting? You havent given me enough to undertand this area. Pride Lands… This is a really good idea. Its kinda Animal-Kingdom like, but it isn’t anything like Animal Kingdom. Turning the battle of Scar and Simba into a roller coaster is a great idea. As for the show, I’m a little confused as to what you mean by “Act like it is on broadway” - are you expecting theme park guests to watch a 60-120 min show, or have I misunderstood? Remember guests are there to visit a park, not to see a broadway show, so show times have to reflect that. Monstropolis, The Tour seems like a great idea, as does you working a show from the movie into the park. Alaska being based on Brother Bear? I havent seen the movie, but looking at the ratings of the movie, not sure it is a great idea to link an entire land to a poorly received movie. I’d suggest retooling it - maybe decouple it from the movie a bit into a more generic “Frontierland meets Alaska” that just happens to have a Brother Bear attraction in it. Never Never Land - Great Idea. Kids would love to explore a never never land. You would have to be sure to link it very close to the movie - The Books are out of copyright now, so a generic Never-Never land can be done by anyone - you have to make sure this is the “Definitive” Disney version). This land made me excited to see the park. Fairytale Village - With Storybook land in Disneyland next door you have a problem - your version sounds like its more than storybook land, but its still some theming overlap. My suggestion to “fix” this would be to take Storybook land out of Disneyland and incorporate it into your park - added bonus is it gives your park the “touch of Walt”, using the miniatures he painstakingly spent so much time on in pride of place- enhancing the Disney Provenance. However, beyond that, You’ve got some great ideas in here, and I’m looking forward to seeing you bring them to light. I like the land of music, but I dont really understand how The Firebird or Night on Bald Mountain fits in… Maybe its a music reference thats gone over my head… If I haven’t missed something I’d instead suggest looking at some of the ideas that were in the Hard Rock park - I appreciate that you’re not going for a rock and roll theme, but they included music within the rides, with roller coasters moving in turn to music. I love the idea of Donald’s Crazy Symphony and the live fantasia experience. New Orleans and Wild West… Immediately alarm bells are going off - New Orleans Square is right next door at Disneyland, so is Frontierland. I see what you’re trying to do in getting in Princess and the Frog, Rescuers, and Mardi Gras… I’d suggest replacing this with a completely different experience - don’t remind me of the place next door, show me something completely new. Overall though, you’ve got some good ideas, just a few chips I think you need to knock a few chips off the edge. Great feedback from all the judges! Thank you for all your suggestions. This should be a lot of fun and the bar has been set high with Blake's proposal, no doubt. So...let the games begin! Now what I am sure you all have been waiting for: My thoughts on your parks! Scott: As a Midwesterner (like Walt Disney), I greatly enjoyed your park. I feel that your lands are some of the strongest in the competition. However, I would have liked to have seen a little more description of attractions or IP. It also sounds very similar to Six Flags Great America. Thats not a bad thing though! I feel its one of the Strongest Six Flags Parks! Christopher: This is my favorite idea for a "Disney" park. My favorite park in all of Disney is EPCOT. I feel that there should be more "learning" in the parks. I also like your concept of the transition from each land. The only thing that I was a fan of was the futureland which sounded more like a scary tomorrowland. Nice concept, but I feel like it would be too much like Tomorrowland. Luca: I like your lands ideas and there would be plenty of Disney IP. I just feel that the park would have to be extremely large or the lands being really small. Keith: I like the whole theory of the park. It sounds like a mix between Disneysea and the Lost Continent at IOA. Maybe Disney will finally get their credit. I do like that you have bascially solved Disney's problem of Arendelle and Star Wars. I wish there was a little bit more connectiveness. Jay R: I really like your concept for a Disney Park. I find it different and a bit ambitious. I feel it is very similar to Future World and Tomorrowland. Travis: You sold me! As a Nintendo kid, I would love to see your park. I think you did a fantastic job at picking lands that could support great scenery and Nintendo IP. I wish you would have spoke more about the attractions. Parker: I am sorry to say that I am not too familiar with Dr. Who. I think that you have some really good ideas, but I am not sure if a Dr. Who only part would be accessible enough to all guests. Then again, I could be wrong! Blake: I really like your concept. I felt that it was different and could be Disney's response to a better Disneyquest. I think it is a good way to create synergy with Disney Interactive. My concern was that like Disneyquest, this would take a lot of money to keep up. Kevin: I think you have a good idea going, but I do not think that I completely understand the separation of lands and customer service. It also sounds like the theme of Great America (not that its a bad thing). Brett: I think you have some really good ideas and great Disney IP, but it seems to be very similar to a mix between DCA and DL. I think you have all the best of Disney's ideas and have put them in one park. Judges, just to be clear, 10 is the best, and 1 is the worst. Hello. First of all thanks for all the help. secondly: Could i modify my theme park a little. Most of the feedback was that my park was to big. Can i take out some lands to make it easier to create like: speed land and pet land? Just want to say thanks to all the judges for the evaluations & suggestions. It is appreciated. Thanks! "Waterdeep", the D&D-themed land, is the actual entry - one completely self-contained park themed entirely to match the location and legends of the same name. This land would consist of four main areas: the city of Waterdeep, the smuggler's town of Skullport, the dungeons of Undermountain, and the "wild", which covers any of the surrounding areas. If I make it to the final round, I'll revise the proposal to put a lot more emphasis on Waterdeep and less on the overall complex. We'll be visiting Undermountain in the first (dark ride) round. I can't wait - I think I have a really good idea for this one. Thanks for clarifying, and I bet it's fantastic! Pokemon! Why didn't I think of that! I think I may have gotten it in my head that Kirby would be the most approachable area of the park for smaller kids upfront and that kinda blurred my vision. Thanks for the notes, everyone! Thanks to all the judges for all of your insightful comments and constructive criticisms. I will apply those to the challenges going forward. I'm kind of shocked at the overwhelming positive response! Especially with such stiff competition! I look forward to competing against some great competitors and great ideas! Good luck to all!